I'm writing this as I'm crying, to hope maybe someone will look into this and not make my mistake. 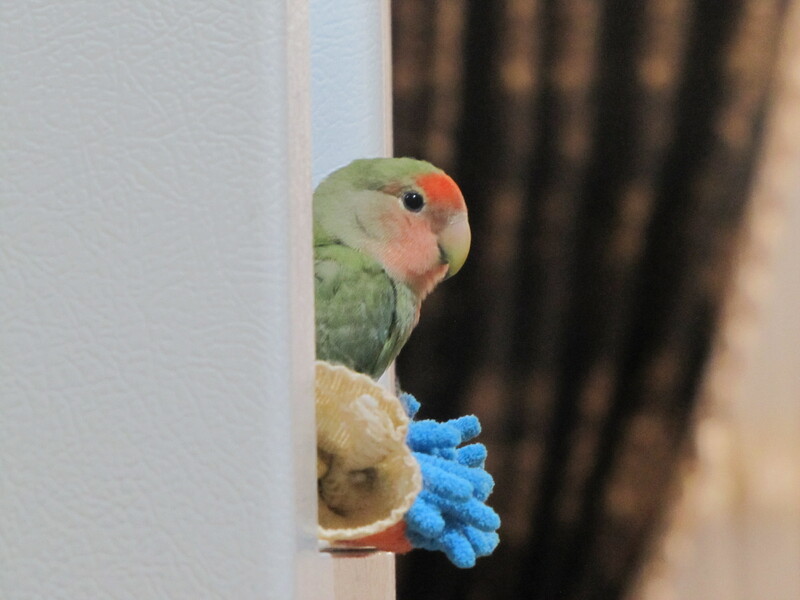 I have had my lovebird for 5 years, this afternoon she was very curious and was trying to get to the almond dish, she took a bite of an almond, the rest I can't describe how terrifying it was for me, I can't forget it, she died in front of me for 5 seconds, the bird I loved for 5 years, so many histories together, perished in front of my eyes nothing I could do, I drove to the nearest vet but they said she's gone. they said she died of cyanide poisoning from a bitter almond that was mixed with the rest of the almonds, I throw the whole dish out of the window, now what is left is me and my sense of guilt. PLEASE, PLEASE be careful about what your bird has access to, 2 hours ago I could see posts on bird forums on how people losing their bird and said that never gonna happen to me and here I am, so ashamed of myself for not taking care of the bird I was responsible for, it only took her 5 seconds to leave me. I hope she's resting in peace now. Deepest sympathy for your terrible loss, I’m so very sorry. Please try not to carry the blame, you sound like a very responsible parent so I’m sure that’s easier said than done but grief is awful enough without guilt. You had no way of knowing a dish of almonds could be lethal to your little lovie, your actions were innocent. I hope in time your five years of sweet memories will comfort you. I’m so sorry for your loss, there are no words that help with losing a beloved family member. 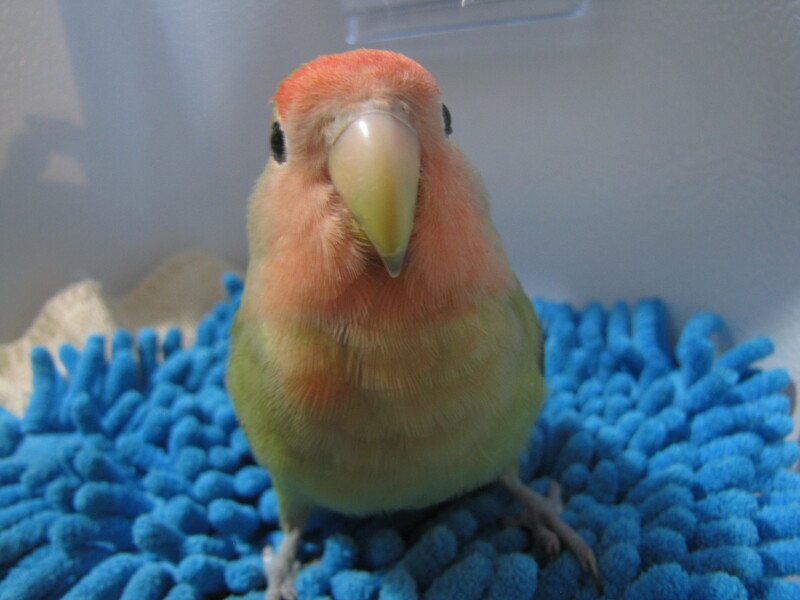 My deepest condolences for the loss of your lovebird. May you be comforted by her beloved memories. I am so SORRY that you have to go through this!!!! Very very sorry and deeply sad to read about your loss. I'm so very sorry for the loss of your little baby, there is nothing that we can say that will make you feel much better right now, but just know that this certainly wasn't your fault or anything that you should feel guilt about. We all have said those words, "How could that person be so stupid? ", and "That will never happen to my birds because I'm careful", but the truth is that these things can happen to ANYONE, even the most educated, experienced, responsible, over-protective bird owners in the world. I thank you for selflessly posting about the sudden loss of your bird in the hopes that no one else will accidentally lose their own birds in the same, impossible to predict way. Terribly sad looking at her beautiful face. Her tragic loss inspired me to create a thread discussing almonds and hopefully raise awareness. The Rb has eaten almonds and almond butter for 25 years. The butter I'll continue, but the nuts... gone until we figure this out. WOW. I am so deeply sorry for your loss. Only time will serve to dull the edge of the pain you are feeling right now, but I do hope you take in what everyone here is telling you: Please do not blame yourself. Not a one of us has the ability to foresee each and every possible danger to our birds. All we can hope to do is minimize the risk of danger to our birds. But sometimes life happens anyway. My thoughts and prayers are with you, and I'd also like to thank you for thinking of others' birds and posting this warning even during your time of grief. And Scott, thanks for the additional link. I'll be taking a look.